Justice is finally being served in one of Lakeview’s most sickening crimes. At 6 a.m. on January 9, 2016, three men forced their way into a 77-year-old woman’s home near Wrigley Field and savagely beat her and burglarized her residence. 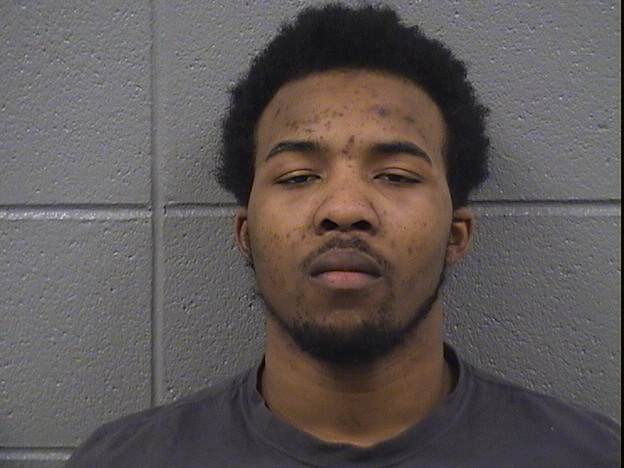 Eli Ruff, Tracie Towbridge, and Lilearl Taylor were arrested after they crashed the victim’s car on the Dan Ryan Expressway after the crime, police said. All were charged with attempted murder, robbery of a senior citizen, aggravated battery of a senior citizen, and more. This week, 21-year-old Taylor became the first to see justice served. Taylor pleaded guilty Wednesday to one count of home invasion. He was sentenced to 20 years in prison and will be required to serve at least 85% of the time. Several other felonies including attempted murder, burglary, robbery, and aggravated battery were dropped in the deal. Judge James Obbish approved the deal. In exchange for his plea, prosecutors dropped another robbery case in which a woman suffered a concussion after Taylor pushed her to the ground near the Belmont Red Line station. That robbery took place just hours before the home invasion. Another charge of aggravated battery of a sheriff was also dropped. Police said Taylor, Towbridge, and Ruff decided to burglarize 77-year-old Joanne Signa’s home in the 3600 block of North Magnolia at random. It was just one of several burglaries the crew is suspected of committing in Wrigleyville and nearby Lakeview during the winter of 2015-2016. After kicking in her rear door, the three confronted Signa in her bedroom and beat her until she lost consciousness, police said. Then they allegedly loaded her car with stolen goods and drove away. Towbridge was on parole at the time for a weapons violation. Illinois State Police took the three men into custody after they allegedly left Signa’s older model Honda crashed on the Dan Ryan Expressway about an hour after the home invasion. Towbridge and Ruff remain in custody. Their cases continue to work their way through the court system. Signa lost vision in her left eye as the result if the attack and never resumed living in her long-time home on Magnolia, according to a neighbor. She resides in an assisted-living facility.